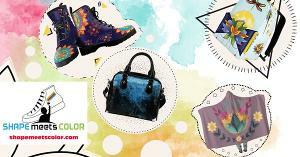 Prize: Designer boots, shoes, handbags, backpacks and more... 5 winners. What you must do to enter: Fill in form - You only need 10 points to qualify for the prize draw, so share on social media and/or invite your friends! Statistics: This contest was opened by 142 and entered by 6 ContestChest.com members. 4% of those who opened the contest, entered it.